The access control sections deal with who can access what, along with the definition of what the "what" is and who the "who" are. 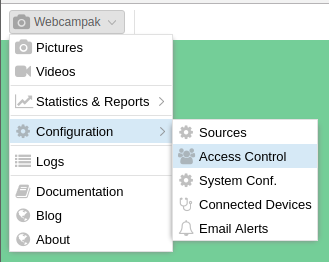 This screen can be accessed by clicking on "Webcampak > Configuration > Access Control". 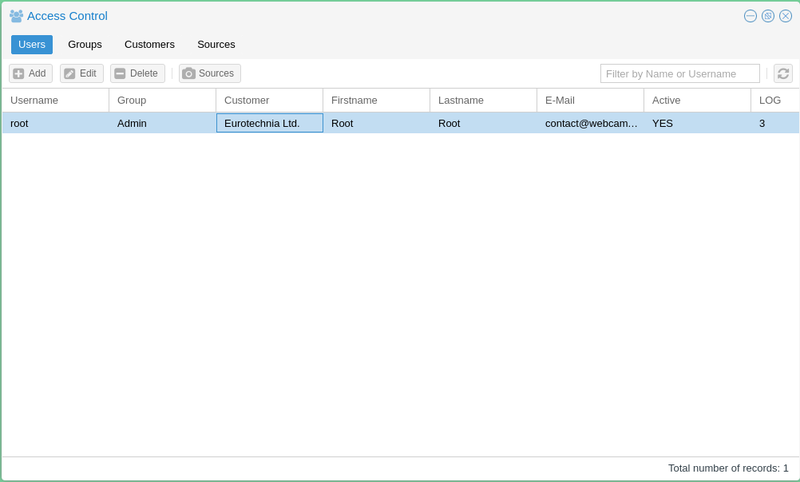 It will let you define users, groups customers and sources as well as their inter-relationships. A customer is a simple mean of grouping users and providing such users with a customised Webcampak background colour and logo. Users are not required to be attached to a customer, but if they do, they can only be attached to one. Name: Customer Name, this field is only available for administrative purposes and is not visible to the end user. BG Color: Hexadecimal colour for Webcampak Desktop background. If left empty, the default Webcampak background colour will be displayed. Note that "root" user has access to every screens and configuration parameters. By selecting a group and clicking on "Permissions", users can refine permissions enabled for this group. By default, the "Application" view is selected. Selected Applications: List all applications, users member of this group, have access to. 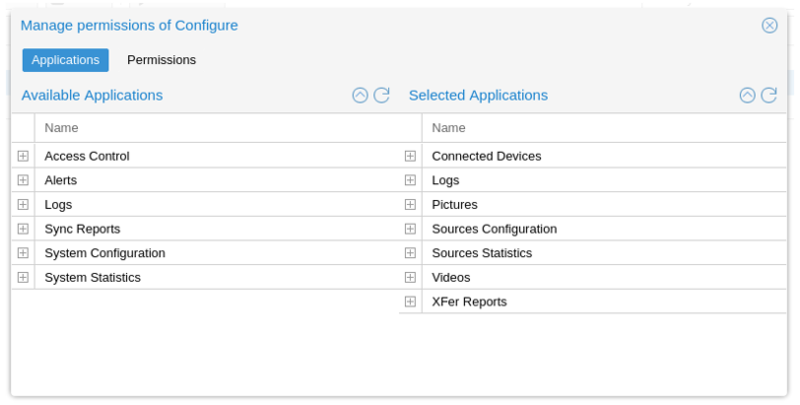 The above screenshot captures the default configuration of the "Configure" group. 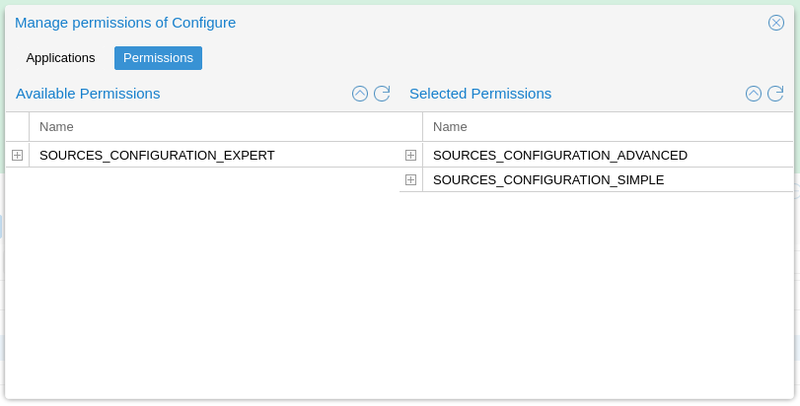 Clicking on the "Permissions" tab provides a mean to further refine access control, in particular in situations when a different level of permissions is necessary within one feature. This is currently limited to sources configuration. 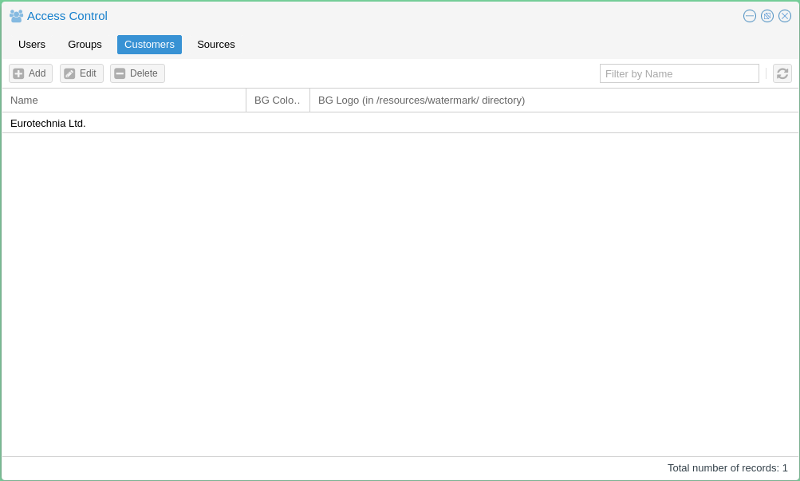 It lets the user define which configuration settings can be accessed/modified by which type of users. The example (below), list 3 parameters, each with different permission level. Please refer to the Sources section of this user guide for details on how to add and configure sources. The "Users" section is used add and configure Webcampak users. Clicking on "Add" open the window used to add users. Password: User password on the system, note that only a hash of the password is stored, it is, therefore, impossible to "know" the password after it has been changed by the user. 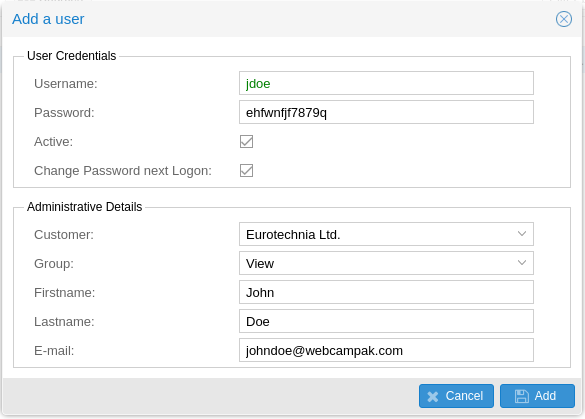 Active: Is the user authorised to connect Webcampak user interface. Change Password next Logon: Prompt the user to update his/her password at next login. E-mail: User's email, it is key to use a real email since the system will be sending emails (lost password, reports, etc...) depending on user privileges. 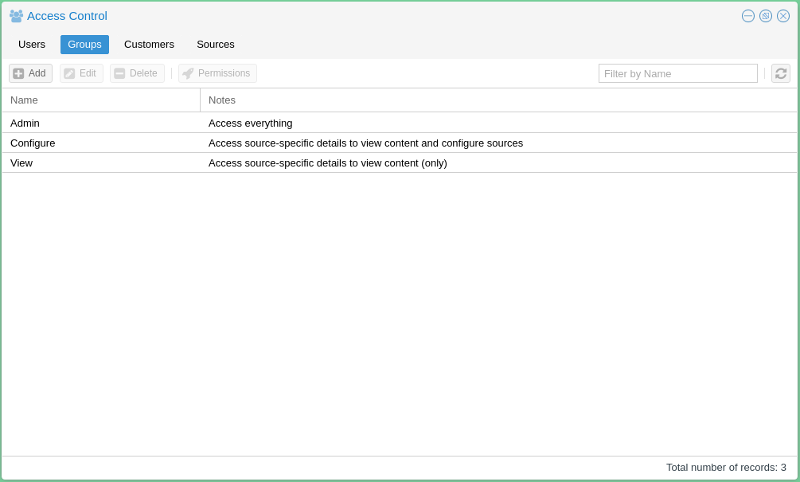 Source access is managed on a per user basis, clicking on "Sources" allows specifying which sources can be accessed by the user.